Oooops... Something has gone wrong... Please double check to make sure the form fields have correct values. 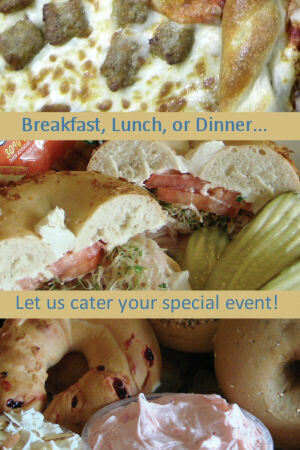 Breakfast, Lunch, or Dinner... let us cater your special event. Whether you are planning a large or small party for your home or office, a casual or formal event... let us help make your event memorable and stress free. Please call us with any questions on pricing or reservations. To secure a date for your event, please plan on making reservations early. We look forward to working with you. Invalid Number - Please Input Your Contact Number. Please describe your Event along with Number of Guests, Time & Desired Date.